David Cox is best known as a superb watercolorist during what was considered the “Golden Age” of watercolor (or watercolour, if you prefer the English spelling); though he also produced many drawings, and later in his career took up oil painting in addition to watercolor. Cox was the son of a blacksmith, and would have followed his father into that profession had he not been too frail for the work. Sent to work making toys, his skill in painting miniature scenes on lockets and boxes got him noticed and sent to work as a scene painter in theaters. He went from that to landscape watercolors, moving to London the year before the Water-Colour Society was formed. 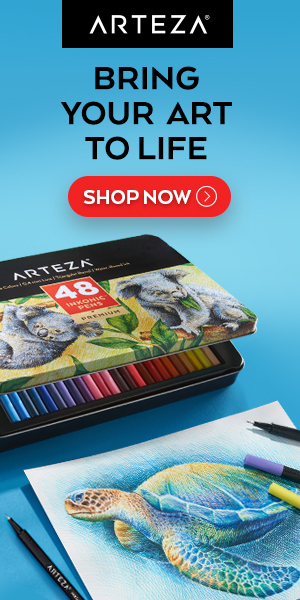 He was a prolific artist, he produced hundreds of works per year for may years, but was never paid what they were worth until late in his career, often selling them in bulk. He made his living for the most part from teaching, insisting on leaving his demonstration paintings to the students (many of which were sold in later years for high sums), and according to a biography, would frequently destroy or throw away many of his pieces, sometimes by stuffing them down storm drains. Cox’s watercolors are now looked upon as some of the finest of his time, a time when watercolor was coming into its own as a medium, particularly in England; and he is sometimes compared to Constable as a highly regarded landscape artist who was particularly concerned with the visual effects of weather and atmosphere. His landscape drawings in chalk and pencil have a wonderfully loose, gestural quality, almost Rembrant-like in their confident execution; and his oils show some of the light, color and attention to atmosphere that would later characterize the Impressionists. 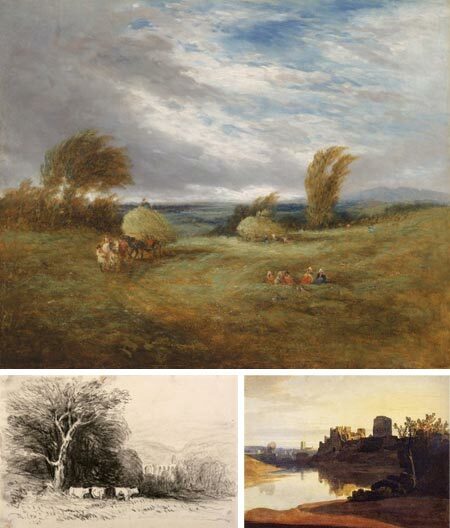 Sun, Wind and Rain: The Art of David Cox is the title of an extensive retrospective at the Yale Center for British Art, running from now until January 4, 2009. A press release is available here. Thanks for this post, some lovely stuff at these links.